A powerful navigation system, which provides logging and reporting functions for enforcement and similar operations. 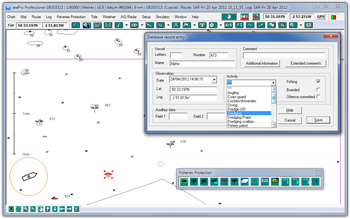 The seaPro Patrol & Enforcement System offers worldwide functionality through use of the following high quality raster and vector electronic charting formats: Livechart B’ - ARCS - BSB – Seafarer and S57. Euronav has developed the Patrol & Enforcement System after working closely with several government departments. As well as providing sophisticated navigation functions using official hydrographic charts, the system allows patrol units to easily log vessel sightings and to record boardings, offences etc. which may have been committed by sighted vessels. The system is ideal for use in fisheries and other resource management/protection schemes. Uses a standard database format so sophisticated data extraction can be done later at base by technical staff. Can act as navigation system or form part of a ship wide navigation and tactical system. Logged data is stored in an mutiple databases which may be sorted, filtered and queried at will by on-board officers; the data can also be shared with shore based systems. In this way, an enforcement agency can have access to details of all sightings made by all their seagoing assets. These data may then be manipulated within the system, or exported for analysis and display in statistical or reporting software, either for general reporting or in a forensic context. 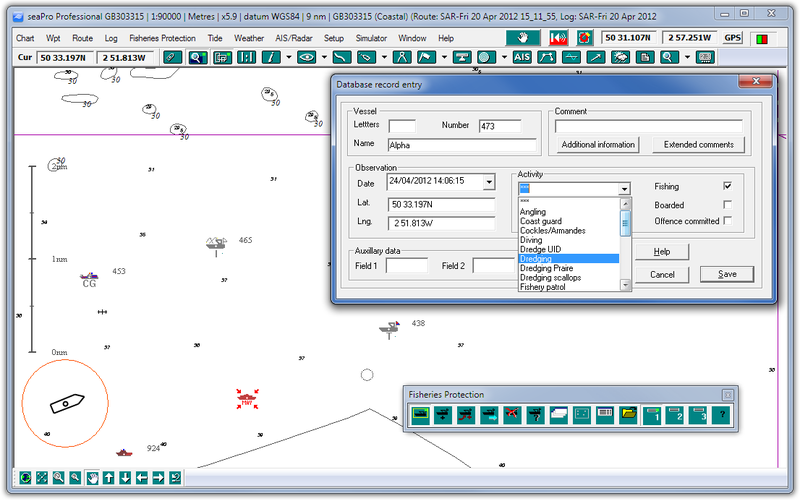 For further information or on how seaPro patrol can be adapted for your own application, please call sales.